Another great neighborhood for running, Riverside sits in the bend where the Arkansas River meets the Little Arkansas River just west of dowtown. This lovely residential neighborhood is bound by three parks, Arkansas River paths, and nice residential streets. 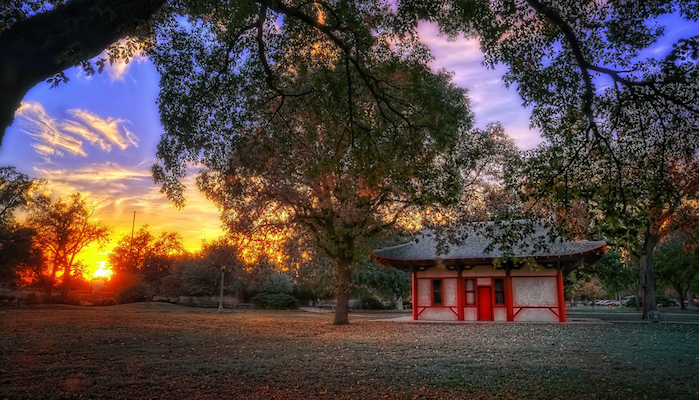 Runners can can circle the Botanical Gardens (admission is $7 for adults), Oak Park, and the Wichita Art Museum. For a nice tour of the neighborhood, start out at the Keeper of the Plains monument at the fork of the river. From here, you can continue northwest along the bike path until you reach West 13th Street North. At North River Boulevard, go south to the bridge and cross into Oak Park. Wrap through the park, cross over the Nims Bridge, and cut through Riverside Park back to the start. For more mileage, criss-cross any of the streets in the interior of Riverside.